Have you seen us at a food trade show? Or at one of our business contacts? 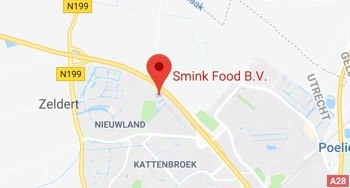 Then you probably already know: choosing Smink Food means choosing quality. 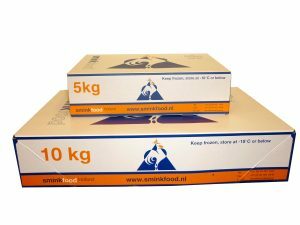 Most of the poultry in our product range is produced in the Netherlands. However, we also supply products from our surrounding countries in the European Union. We work with regular and reliable suppliers. Partners that meet the highest international standards of quality, such as ISO, HACCP, and BRC, and that have years of experience, as we do. Our principle is clear: we trade in the overproduction of high-quality meat from the large European abattoirs. And, of course, at competitive prices and with favourable terms. In doing so, we supply our customers in the Netherlands, Europe, (West) Africa, and a number of overseas territories. Are you in the market for poultry that meets halal criteria? We have halal-certified poultry products! For some time now, we have been supplying halal-certified poultry, which has been slaughtered according to Islamic tradition. This will allow you to supply your halal customers without any problems. We like to go that extra mile. For example, we offer complete supply security. On the one hand, this is possible because we work with several abattoirs, and on the other hand, because we have a number of products under our own brand.